As a Promise Coach trainer, I get to be in rooms full of Pittsburgh community members who are passionate about supporting the dreams, goals, and futures of our youth. They are parents, coaches, mentors, ministers, and neighbors and they all believe that each and every Pittsburgh student has the potential to graduate from high school and continue beyond to a fulfilling career and life. I have to tell you, being around that kind of energy is pretty amazing. 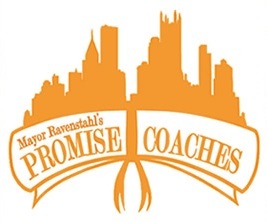 The vision of the Promise Coaches Campaign is that "all Pittsburgh youth will have at least one supportive, knowledgeable adult who can coach them to succeed in high school, college, and careers. One person at a time, the Promise Coaches are contributing to the kind of empathetic, dedicated community we need to cultivate and inspire the next generation. Well, I'm inspired. How about you? If mentoring youth is something that interests you (and be assured - the need for your presence and empathy is huge! ), why not look into an opportunity right now? If you're in Pittsburgh, come to a 90-minute Promise Coach training (groups with 20-25 interested trainees can even host their own training) or visit TMP's program search for another mentoring program that fits your interests. Or you can visit the National Mentoring Partnership's site and find out how to become a mentor in your area. To build the world of our dreams, it takes a community and that starts with you!